Ruth Edwards Richie, 82, of Danville, KY passed away Saturday, December 2, 2018 at home. Born on September 29, 1936 in Mt. Olivet, KY to the late Arthur Stanley Edwards and Jeanie Orr Rawlings Edwards, she was the co-owner and operator of Richie Drugs from 1970-1984. 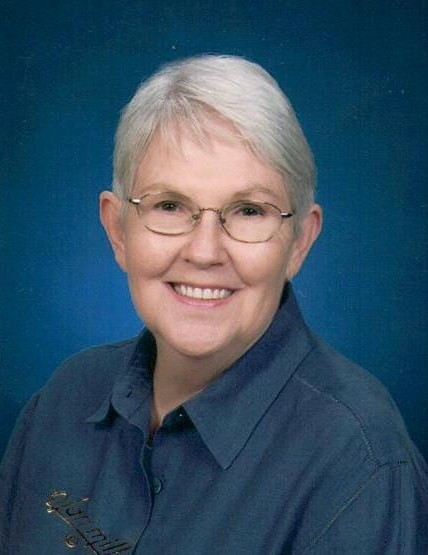 She also worked as a bookkeeper for Farm Credit Services and Spurlin Funeral Home, Stanford for many years, and traveled and taught computer classes to the National Guard in Michigan, Ohio, and Connecticut, and also taught local adult education classes. Survivors include one brother, Dr. Darwin Keith Edwards of Louisville, KY; one grandson in Lexington, KY; three nieces; three great-nephews; and her beloved and faithful K-9 companion, “Molly”. In addition to her parents, she was preceded in death by two sons, Russell “Rusty” Richie III, and David Lane Richie; one brother, Lowell Stanley Edwards; and one sister, June Avanell Johnson. A graveside service has been scheduled for 11am Saturday, December 8, 2018 at Buffalo Springs Cemetery with Jamie B. Leigh-Doyle officiating the service. Spurlin Funeral Home, Stanford is in charge of the arrangements. Memorials in lieu of flowers may be given to: Old Friends Senior Dog Sanctuary (Mt. Joliet, TN), Boyle County Humane Society, and/or Heritage Hospice.